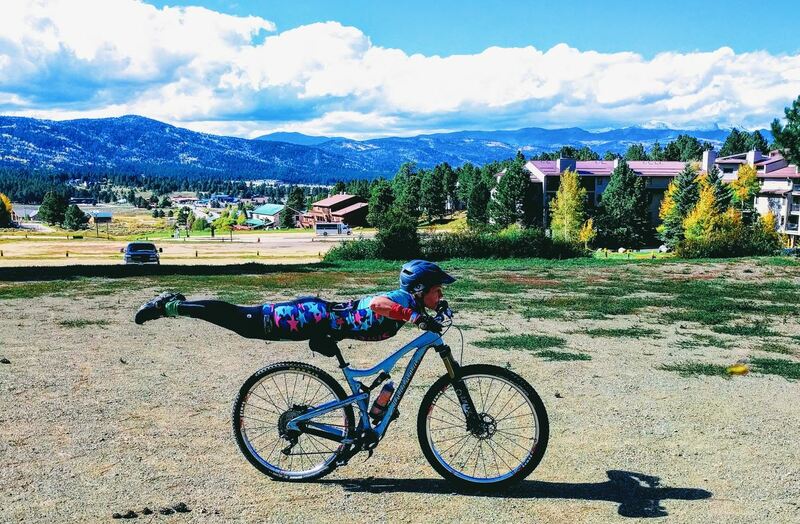 How did you get started mountain biking? My husband and I were avid runners and one day my body reached a point where it wouldn't let me run anymore. I had terrible groin, hip, and knee pain that I just couldn't get rid of. He had the idea of buying bikes as an alternative to running outside. Long story short, he didn't want to wear spandex, so we bought mountain bikes instead of road bikes. The not wearing spandex part is out the window now, and we ride both mountain and road bikes. Haha! 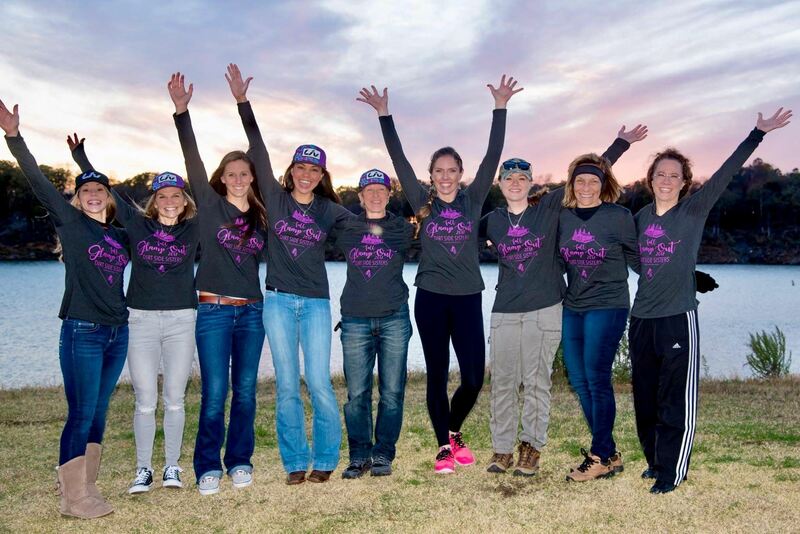 But I am so thankful we started on the dirt because this is where my love for cycling really is. How long have you been riding? This summer will be 7 years. What is your favorite local trail? That's way too hard to pick between my home trail Northshore and Sansom. What is your favorite trail in North America? Gotta love the LOViT! 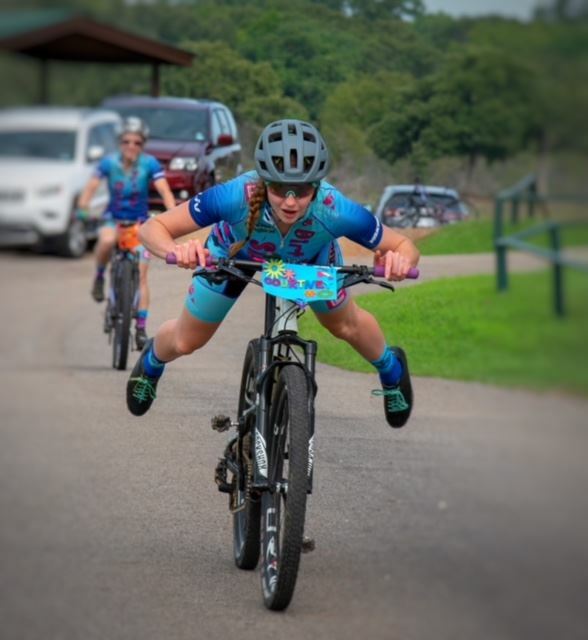 Occupation: Certified Retul Fitter, Bike Enthusiast and Social Media Coordinator at Plano Cycling & Fitness, Personal Trainer, Pro Mountain Biker, and Co-Founder/Organizer of Dirt Side Sisters! How did you get started mountain biking? I was working as a girl’s director for a summer camp in college and a local bike shop donated a bunch of Rock Hoppers to us. I bought one for super cheap when I left the camp and started biking with a friend I played soccer with. 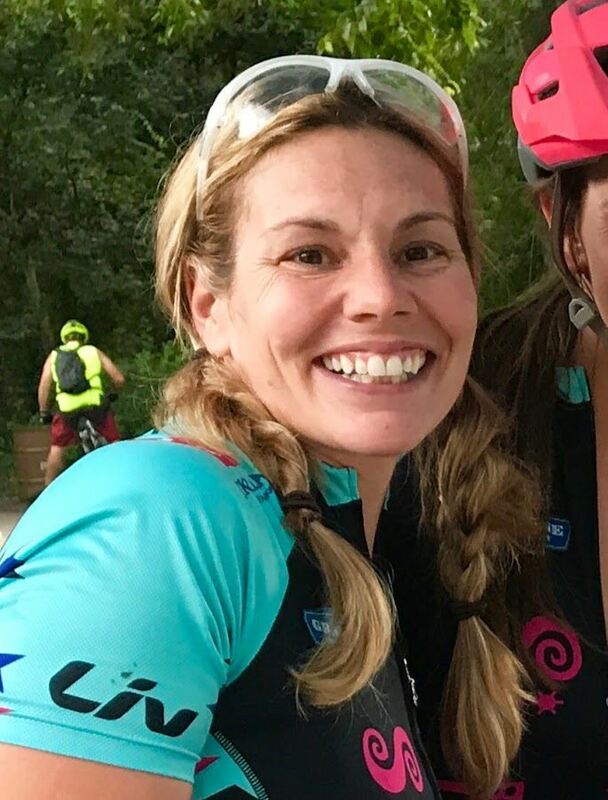 I met my husband through biking and then decided I had to find a girls group to ride with when I would have to miss the ride with the guys when I was working. That’s when I found DSS and started riding consistently. How long have you been riding? I have had a bike in my garage since 2010. I did I would ride a couple of times a year until 2016 when I started riding weekly. What is your favorite local trail? West Side of Northshore! What is your favorite trail in North America? Probably Mount Syllamo in Arkansas because that was the first place I ever rode with my husband, Jeff. Do you have a nickname? Kourtney with a K. My mom used to call me that as a kid and some people still randomly call me that even without knowing that. How did you get started mountain biking? During my first year of teaching I became good friends with a co-worker that was on my team. For a good year, she told me multiple times she was going to get me on a mountain bike. After seeing some of Northshore and being reluctant about trying it, she finally convinced me. My first ride was on gravel at Greenbelt on a borrowed bike. The same day, we rode Corinth Community Park. After that, I was hooked! What is your favorite trail in North America? I LOVE Colorado! I went to Crested Butte last year and rode Lupine, Lower Loop, and Snodgrass. I plan to go back this summer and see more! How did you get started mountain biking? My mountain bike journey began with my Husband Jimmy. He rode "back in the day" and wanted to get back into it. Jimmy convinced that I would like riding and thought I should get a bike as well. I agreed and bought my first MTB in 2012. Since then, cycling has become a true passion for me. What is your favorite trail in North America? Hmm that's a tricky one, I don't have much experience with other trails outside of Texas. I recently rode Flat Rock Ranch MTN Bike trail in Comfort Texas that was a blast. Camp Eagle in Rocksprings was also an amazing trail. Do you have a nickname? My Husband likes to call me "Heidi the Hammer"
Occupation: I am a Fitness instructor, I create and design bags and accessories at Heidi Staples Designs. How did you get started mountain biking? A friend knew how much we loved to tree ski and she thought we would like to bike through them too. She was right! She took us out to Rowlett and we went and bought mountain bikes the next day. What is your favorite local trail? The one I am on! Do you have a nickname? My husband used to call me Hotrod but that was in my younger days! Certifications: Level 1 PMBIA Mountain Bike Instructor, 32 years of marriage- I'm a pro! How did you get started mountain biking? How long have you been riding? I bought my first mountain bike in the summer of 2008. What is your favorite local trail? We have so many great trails in DFW but my favorite right now is Frisco because of the open landscape. What is your favorite trail in North America? I haven't ridden very much outside of DFW but I really enjoyed riding in the dessert at Brown's Ranch in Scottsdale, Arizona. How did you get started mountain biking? Casual exercise at first, then it grew progressively into what it is today. How long have you been riding? Since 2008. What is your favorite local trail? I love them all, but Knob Hill and Sansom are my top 2. What is your favorite trail in North America? I've not ventured very far yet, but thus far it would have to be the LOVit in Arkansas. Do you have a nickname? Not sure, do I? How did you get started mountain biking? My friend thought we should get bikes and start riding, so I said sure and that's when the adventure began. How long have you been riding? Two beautiful years! How did you get started mountain biking? As a kid I spent most of my time outside on my pink and purple Huffy 18-speed mountain bike. I had it set up with front and rear pegs so I could haul friends around and attempt ridiculous tricks, that usually ended in a crash. Fast forward to being an adult with a 3 year old son and realizing I needed to get hobbies again, so I decided to get myself a bike. I lived near River Legacy and saw so many people out with bikes on the weekends. When a friend mentioned mountain biking I knew that was the type of bike I wanted. How long have you been riding? I have been riding since the summer of 2013. What is your favorite local trail? It would be a tie between Sansom or Dino Valley...I like rocks. What is your favorite trail in North America? Whole Enchilada and Captain Ahab in Moab. Those views!! Do you have a nickname? My family has always called me Coutney ever since Six Flags left the "R" out of my name on my season pass as a kid. I have also been known as Corndog, thanks to my brother. Occupation: I have worked at an oil and gas company for the last 8 years, but will be finishing my Bachelor's degree in Mechanical Engineering at UTA soon and will pursue a career in that field.